When a vehicle is new, you can expect the carpeting and all other design elements, both inside and out, to be in pristine condition. But a car will invariably accrue a good deal of wear and tear relatively quickly because of the type of usage it receives. If your car or vehicle carpet becomes damaged, you do not just have to grin and bear it, or take it in for an expensive repair session. In fact you should be able to amend the issue yourself, if you are willing to take a little time and care to give the item the attention it deserves. Firstly, you need to work out whether or not it is worth repairing the carpet in the first place, or whether your efforts will be wasted. 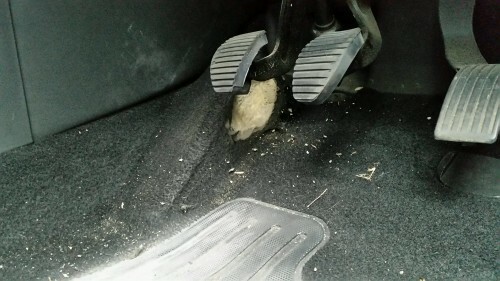 This is simple enough, since the carpeting which receives the highest degree of wear and tear is that located directly beneath the driver`s pedals. If you do choose to repair this then you might find that it quickly becomes damaged again. However, if the damage is anywhere else, such as in the passenger footwell or in the rear, it is very sensible to try and fix the issue. The simplest form of repair which is appropriate for a small rip or fray in a uniformly coloured vehicle carpet involves gluing fibres in to patch up the fissure. It should be simple to match the colours of the replacement fibres and using a glue gun or other appropriate adhesive will make the damage almost invisible after just a few minutes work. If the damage is more severe then you will have to take bolder action. You can buy replacement carpets which can be sewn in over the top of the affected area and matched to the make and model of your vehicle so that the look is consistent. 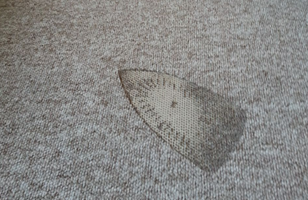 For the worst scenarios, it might be necessary to completely remove the carpeting and have a freshly fitted layer applied, although this will be costly and often require the assistance of experts. One of the best ways to prevent wear and tear on your vehicle`s interior carpeting is actually to protect it with a mat which covers up areas that can often end up taking damage. 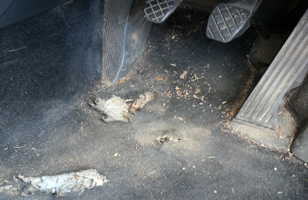 Many manufacturers and third party firms actually produce floor mats which are designed to match individual vehicles, although there are cheaper generic options on the market if you choose to take this route. 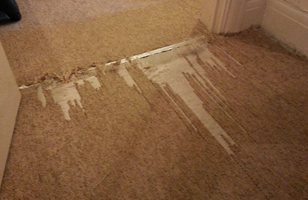 In general it is far more affordable to protect a carpet or repair it when damage occurs than to completely replace it. This is particularly true if you have a new vehicle which has received unwarranted abrasions, rips or frays that you want to hide or heal in your own way. If you have any concerns about repairing a vehicle`s carpeting or upholstery, it might be easier to turn it over to specialists and have them do the work for you. That way you need not use bolts to secure a new carpet in place or end up making the problem worse, not better.